I’ve started noticing the leaves on the trees changing their colour. Looks like the summer is over. In this sentence we use OVER meaning the summer is finished, the summer is at its end. We can also use OVER as a preposition. And today let’s have a look at the English phrasal verbs with OVER. 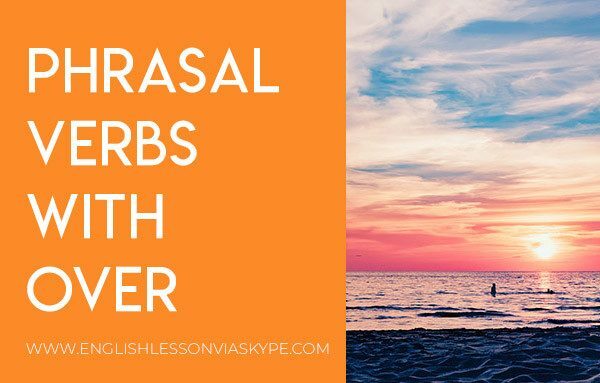 Quick revision on what is a phrasal verb. Phrasal verbs are made up of (this is a phrasal verb to make +up + of) a simple verb and one or two prepositions. Most phrasal verbs in English can be easily substituted by a more formal verb (made up =constructed or assembled or built). So let’s review some useful phrasal verbs with OVER. The more formal verb is to discuss. To talk something over is to discuss it between two or more people. Ex. Mary wanted to go somewhere exotic for her holidays but James preferred to go to the family cottage by the sea. They said they would talk it over later that evening after dinner. The more formal verb is to control or to acquire (to buy), to win control of something. Ex. Hillary was tired driving she had been driving non stop for 4 hours. Philip said he would drive the rest of the journey so he took over the driving. Company A wanted to become bigger. The easiest way was to buy its competitor. They met the management to discuss an over and the take over began. Please note We can also use takeover as a noun. A takeover of company B has taken place. Pay attention to its different structure. It is one word not two! The formal verb could be to stop. In the previous phrasal verb (take over) we gave the example of Philip taking over the driving from Hillary. Ex. When Philip agreed to take over the driving he asked her to pull over when it was safe to do so and stop the car. To pull over means to stop the car somewhere safe either to rest or change drivers or get something from the car boot. Please note Again pullover is also a noun which is a style of jumper worn by males or females. And gain as a noun it is one word only. A more formal way to express this is to say to give or to present. We hand over something we have or are holding to someone else who requests it. Sometimes it is used quite harshly. Ex. A robbery took place in the bank yesterday and thieves (robbers) demanded to hand over all the cash immediately. To stay or spend a night in a friend’s house. This phrasal verb is usually used by young children who like to spend time with their friends. One child invites the other to come to his home and have a sleepover (here it is a noun, one word). Ex. Would you like to sleep over in my house tonight? Mum is making popcorn and said we can watch a movie. This has two meanings as a phrasal verb so could be replaced by to kill (run over an animal, for example) or to review (run over some numbers or a presentation). Ex. 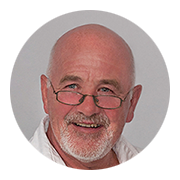 When someone is driving along the street and a dog or cat runs out on to the road they might unintentionally (not deliberately) run over and kill the animal. Trying to avoid the animal could cause an accident. Ex. Your colleague might ask you to help him with some work and would like you to review his presentation that he is giving the following day. He might ask you to kindly run over the presentation with him and see if everything has been included. Ex. On our way to Paris, we stopped over in Strasbourg for one night. Over to you now. Try to make couple of sentences using phrasal verbs with OVER. Write them in the comments below and I’ll get back to you. You can also practise your knowledge of phrasal verbs in English with gap filling exercises. There are many textbooks out there for learning English phrasal verbs. I would like to recommend Phrasal Verbs in Use by Michael McCarthy and Felicity O’Dell (Cambridge University Press). It is one of the best books I’ve seen on phrasal verbs and I use it quite a lot with my students. Intermediate English learners! Here is your chance to master English Grammar Tenses so you can speak English fluently and with confidence, sign up for 3 hour English Grammar Rules Refresher Course. Click on the link to read more. If you are looking for a new job in an English speaking company, check out my How to Prepare for a Job Interview in English Course.